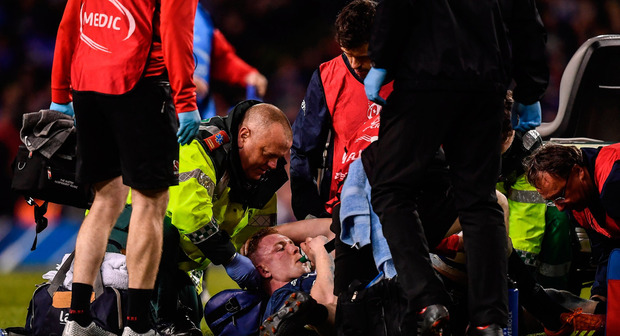 Dan Leavy’s horrific leg injury sustained in last weekend’s Champions Cup quarter-final win against Ulster could have been avoided if rugby’s laws were consistently applied, according to legendary gold medal-winning Sevens Rugby coach Ben Ryan. Ryan, who led Fiji to historic success at the inaugural staging of Sevens Rugby at the Rio Olympic Games, claims that the “Wild West” approach at the breakdown has caused a “runaway train” to wreak havoc. 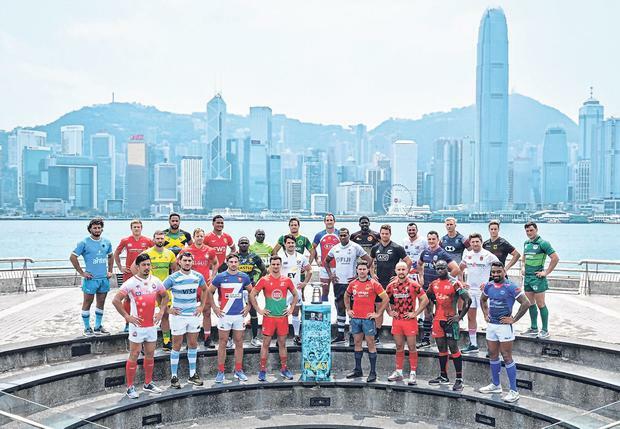 “I saw it,” said HSBC rugby ambassador Ryan in Hong Kong, where Ireland continue their efforts to qualify for the elite phase of the HSBC Sevens Rugby series. “The guy that cleared him out is not in control of his momentum, he’s off his feet and he’s from the side. “As a result, he’s gone straight into the side of Leavy and then there’s the angle of the knee and we’ve seen everything that’s happened since then. “You call it the Wild West. It’s a continuation of the bad application of the law over the last few years. At no point has anyone tried to put a full stop on it and said enough is enough. They’ve allowed this runaway train to the extent that these injuries are now popping up on a regular basis. “He’s such a talented player. He could spend every day in the gym, be the most talented player in the world but he wouldn’t have been able to do a thing about that clear-out. We have to take this out of the game. The laws currently state that a player must “endeavour to stay on their feet”, must not “intentionally fall or kneel in a ruck” or “not intentionally collapse a ruck”. World Rugby are assessing law changes in this and other areas but Ryan insists they must focus on those that currently exist. “It’s good they’re talking about it now,” said Ryan. “What’s not good is that we have laws in the book that are not being applied. “You have to ask why have we allowed a scenario as a sport to be just so loose around the things that are only going to reduce the safety levels for the players and the quality of the game? “We need to get hold of it straight away. It’s a good step that they’re meeting and talking about it. And they’re discussing the role of the jackal as well because that’s breaking the law, the shoulders are always lower than the hips. They need to fundamentally apply that law also. “But it’s just such a shame that we have to have serious injuries as a result, all of which could been avoidable if the law had actually been appropriately adjudicated in the first place. Meanwhile, Ryan is predicting great things for Anthony Eddy’s side as they ramp up their bid to become a member of the senior circuit next year following their heart-breaking last-minute defeat to Japan in 2018. And Ryan, whose role with HSBC has continued to develop the version of the sport on a global scale to follow on from his glorious three-year stint with the flamboyant Fijians, believes Dublin could plan a windfall hosting on the back of their Irish team’s steady improvement. “They’re easily good enough to be on the World Series and if they were in the main competition they could definitely improve enough to be challenging to get into the Cups. A Dublin hosting could not take place until after the next Olympic cycle but could be worth millions to the economy. “If Ireland can qualify for the main series next season, and get an Olympic series under their belt, then in three or four years they could bid for a series, it is definitely very doable. “There are so many reasons why Dublin would be an attractive place to play Sevens, particularly at the right time of year. Sevens is far more dynamic with changes it can make.